Build your mid back with a double-D handle. The double-D handle is ideal for working your rhomboids—the muscles between your shoulder blades. But if you’re using the grip only with pin-selected weights, expect to plateau soon—if you haven’t already. Shake up your rhomboid development with these three moves. 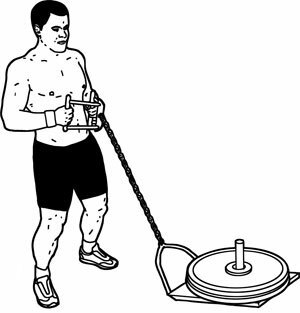 Attach the handles to a sled using a chain or straps. 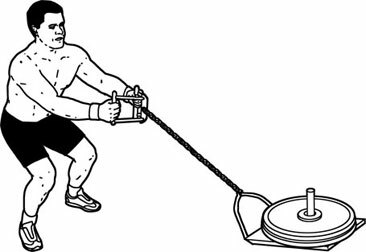 Face the sled, grab the handles, and squat low. Pull as you stand up. Back up and repeat. Hang the handle from a chain (like the one used for a heavy bag). Grasp the handles and engage your lats and rhomboids to pull up. 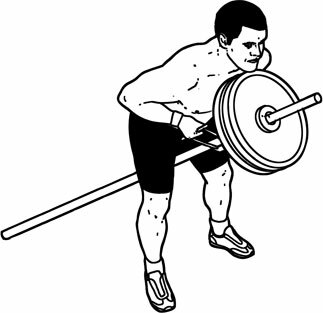 Place one end of a barbell in a corner. Load the opposite end. 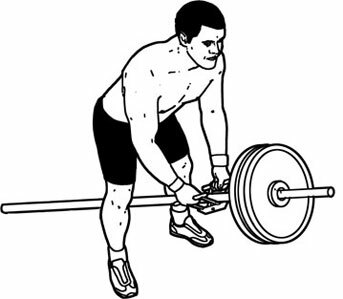 From a bent-over position, use the handle to pull up the bar.